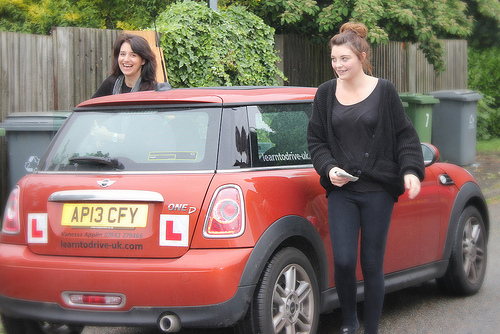 Learning to drive is an exciting experience, and anyone who is a learner driver is aiming to pass their practical driving test at the first attempt. Although less than half of learner drivers in the UK actually pass their driving test the first time, don’t let these statistics put you off, as it’s perfectly achievable as long as you are willing to put in all of the hard work, dedication and practice needed. Taking the driving test can be a nerve-wracking experience; however, if you prepare correctly, you can help to ease your nerves, build your confidence and ensure that you have all the knowledge and skills necessary to pass. Whether you are practicing for your theory test, practical test, or both, the more effort you put into practicing, the better results you will see. As with any task, the more comfortable you are with it, the better prepared you will be. If you are preparing for your theory test, it’s important to obtain all of the preparation materials which are available, such as mobile applications, books, CD’s and mock tests available for driving theory online. Practicing for the practical test should be done with a qualified and approved driving instructor from a reputable school. Get the most out of your driving lessons by booking them at various times in order to experience a wide range of driving situations, such as driving in bad weather or in the dark. Understanding all of the different rules of the road is just as important as actually practicing your driving. Knowing exactly what you should be doing and what the different road signs which you will encounter mean will allow you to drive to the best of your ability and not make any mistakes which could result in a failure on the test. When practicing on your driving lessons, make sure that you are reading the signs and following them accordingly without the instructor needing to prompt you. If you don’t understand any signs, you should ask your instructor to explain them to you straight away so that you know what to do if you encounter them again. Remember that on the test, your examiner won’t be giving you any prompts or reminders when it comes to signs! Although it may be easier said than done to try and calm your nerves before taking the driving test, it’s important to try and stay as calm and confident as possible if you want to pass first time. Learner drivers who have suffered from terrible nerves while taking their test often end up making silly mistakes due to the stress, even though they wouldn’t do that when on a normal lesson. Listening to calming music before the test can help to reduce stress levels, and there are some supplements which you might want to consider taking to help ease anxiety. Passing your driving test first time isn’t difficult to achieve if you get the preparation right!